Born at Skelton, Yorkshire in 1874. Wild joined the Merchant Navy in 1889, and in 1900, transferred to the Royal Navy. Volunteering for the British National Antarctic Expedition, 1901-1904 (leader Robert Falcon Scott), he served as an able seaman in Discovery. He took part in several sledging expeditions, including an attempt to reach Cape Crozier in March 1902, and was a member of the main western party, led by Albert Armitage. He joined the British Antarctic Expedition, 1907-1909 (leader Ernest Henry Shackleton), and was one of the party chosen by Shackleton to make an attempt on the South Pole. The four men, accompanied by four ponies, crossed the Ross Ice Shelf and discovered a route south up the Beardmore Glacier. On the polar plateau, they continued southward, man-hauling on severely reduced rations. On 9 January 1909, they sledged to a farthest south of 88.38 degrees, 180 kilometres (97 nautical miles) from the Pole, where their physical condition forced them to turn back. Wild joined the Australasian Antarctic Expedition, 1911-1914 (leader Douglas Mawson) and was in charge of the Western Base at the western termination of Shackleton Ice Shelf. His party undertook extensive scientific programmes and several extended sledge journeys were made, including one during which he reached Mount Barr Smith with three companions in December 1912. On the Imperial Trans-Antarctic Expedition, 1914-1916 (leader Ernest Henry Shackleton), he was second-in-command. After Endurance was crushed in the pack ice of the Weddell Sea, Wild steered the whaleboat James Caird in the open-boat journey to Elephant Island, taking charge of the Elephant Island camp while Shackleton sailed for South Georgia. Twenty-two men remained on the island for 105 days, and it was largely due to Wild that morale was maintained until Shackleton returned to rescue them. On his return in 1916, Wild was commissioned in the Royal Navy, and acted as transport officer on the North Russian front. 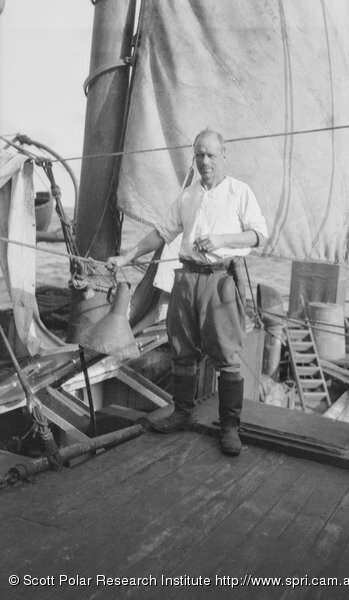 In 1918-19, he wintered in Spitsbergen and soon afterwards went to southern Africa to farm, breaking off to serve as second-in-command of the Shackleton-Rowett Antarctic Expedition, 1921-1922. On Shackleton’s death on 5 January 1922 in South Georgia, Wild took command and the expedition continued, briefly exploring the South Sandwich Islands and the Weddell Sea before returning to Britain. It fell to him to write the official account when the expedition returned. Wild received many geographical awards, including the Patron’s Medal of the Royal Geographical Society, and was made a Freeman of the City of London in 1923. He returned to southern Africa in 1922, engaging in various farming enterprises. He died in Johannesburg on 19 August 1939, his ashes were moved from South Africa to South Georgia in 2011. His unfinished memoirs were published in 2011. Mills, Leif. 1999. Frank Wild, Whitby: Caedmon. Wild, J.R.F. 1923. Shackleton’s last voyage: the story of the Quest, from the official journal and private diary kept by Dr A.H. Macklin. London: Cassell and Co.
1940. Polar Record 3 (19): 280-281. This entry was posted on Friday, November 7th, 2008 at 11:36 am	and is filed under Biographies, Resources, Wild Robert Francis [Frank]. You can follow any responses to this entry through the RSS 2.0 feed. Both comments and pings are currently closed.